The history of the American government is pretty complex but it really begins with the American Revolution and the breaking away of the colonies from British rule. The Revolution began in 1775 and lasted until 1783. There were different periods through American History that have greatly influenced the structure and scope of the government. Let’s have a look at American Government throughout out its history and the changes that have taken place. America declared its independence on July 4, 1776 with Thomas Jefferson writing the Declaration of Independence. Over the next two decades the founding fathers would lay out the basis for modern government with the Constitution and the Bill of Rights that laid out the freedoms and responsibilities of citizens of government alike. Initially there were 10 Amendments that guaranteed freedoms and limited the power of government. There would be 17 more Amendments added over the years with the last, the 27th being ratified in 1992. Here is a more indepth look at the writing of the Constitution. During the 19th century the country was expanding with the Thomas Jefferson agreeing to the Louisiana Purchase from France adding huge tracts of land to the United States. There were pioneers and explorers heading west and expanding the country. In the latter half of the century America was deeply divided and The American Civil War had the northern states going to war against the Southern states over slavery and states’ rights. The war was won by the north, the nation stayed together and slavery was abolished. The modern era saw almost as many changes in government as there was during the birth of the country. After almost a century of protesting and demonstrating women were finally give the right to vote with the 19th Amendment that was ratified in 1920. The country also had to endure several wars along with the worst economic crisis in history. Change in government didn’t really happen again until the 50’s and 60’s with the birth of the Civil Rights Movement. The movement began in the southern states to end racial discrimination and segregation. The movement brought about the The Civil Rights Act, The Voting Rights Act and the Fair Housing Act. On September 11, 2001 the worst terrorist attack to ever happen on American soil took place and this changed the country again. Homeland Security was created to deal with potential terrorist attacks and laws were passed that impacted the freedom of the American people such as the Patriot Act. At the same time in 2008 the country elected the first African American President with Barack Obama. There are laws that cover almost every aspect of our lives and how we do business. The law dictates how we can behave within society and what recourse we have when someone violates the law. Lawyers work with clients to help them protect their rights and to do business and stick within the law. There are several different types of lawyers with different specialties within the law, everything from maritime law to criminal law. For the most the law is divided into two categories, criminal law where the state charges you and civil law which focuses on conflict resolution. 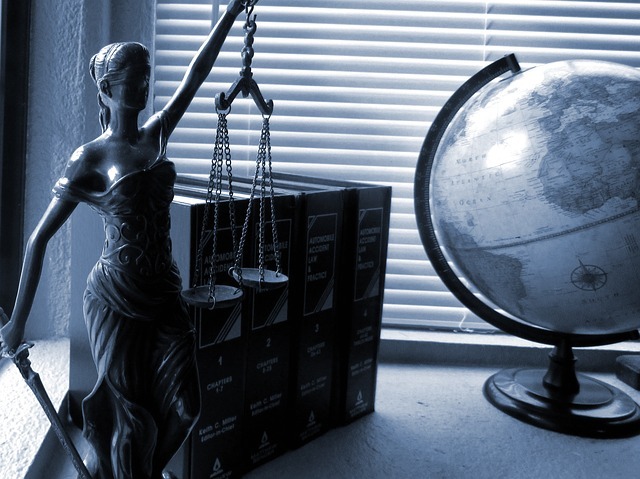 Let’s look at the different types of law and what type of lawyer that you may need. Criminal law is when you are charged by the state after they believe that you have violated public law forbidding certain behaviors. An example would be, theft of any kind. Crimes like assault, theft and homicide are universal but there are other laws that will vary from state to state. However most follow the Model Penal Code which is the basic structure of criminal law. Civil rights attorneys work with cases that defend the rights and freedom that are granted to all citizens of the United States. These freedoms are outlined in the Constitution and various Amendments and they include things like the right to vote, freedom of speech, freedom of the press and protection against discrimination. Maritime Law: Maritime or Admiralty law covers cargo ships based out of the US and it applies regardless of where they are sailing. Maritime attorneys deal with things like fishing regulations, cargo disputes, international trade, pollution and the activity that takes place on ships and at the docks. Bankruptcy Law: If you or your business needs to get relief from debt that is referred to as declaring Bankruptcy and there are specific courts that deal with that along with attorneys that specialize in these types of law. Corporate Law: Corporate law deals with the creating and running of businesses. There are laws that govern how businesses are run at the state and federal level and an attorney will help you adhere to them. Consumer Rights: Consumer rights are overseen by the Attorney General in each state and they oversee a group of consumer fraud attorneys. They are the people that deal with complaints around false advertising and unlawful business practices. Immigration Law: Immigration lawyers can help immigrants coming into the country become naturalized citizens. The federal government deals with immigration law and creates the laws surrounding asylum, and immigration. Family Law: Family law deals with divorce, adoption and child custody matters and it is one of the most commonly practiced areas of law.